If you are trying to find a Chester, NJ home, you will find a world of possibilities in this amazing region of New Jersey. A number of single family homes, upscale townhouses and luxury estates are available in Chester. Chester is ideal for people who love the small town feel with all of the luxuries of living close to larger cities. The Chester school district is also noted for its excellence and overall statistical performance of its students. For adults 55 and older, the Four Seasons Adult Active Community has all the amenities one would want to live the life of leisure. The oldest settlers in Chester Township came in 1640 when "Black River" established itself as a settlement primarily because of the intersection of two Lenape Indian trails. These old trails, used for hundreds of years by the native Americans were traversed by the early settlers to go to all regions of New Jersey. Chester itself was established in 1799, at which time "Chester" meant the area of both the Township and the downtown Village area which came to be known as the Borough. In the years leading to the revolution and on into the early 1800's, Chester Township was an important stagecoach stop on the trip from New York, New Brunswick, and Morristown to Phillipsburg. In 1799, Chester Township with 30 square miles, incorporated and separated from Roxbury Township. The Public House was built in 1810 as a place of "fancy" public accommodations, although there were still many Inns and Taverns that took in drovers and itinerants. 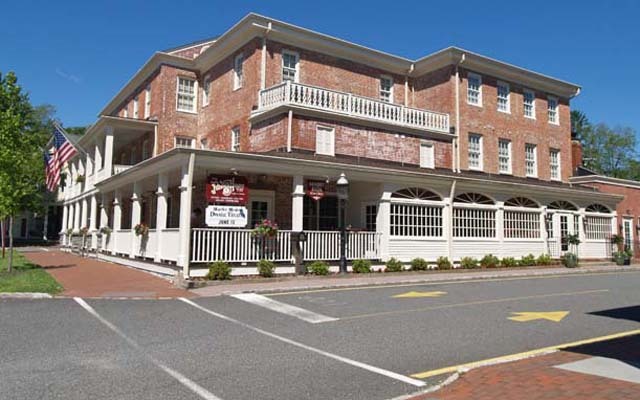 Main Street grew around these village Inns, and businesses were established. The Borough of Chester was incorporated in 1930, and is today a separate municipality surrounded by Chester Township. Chester has many fine parks for a variety of outdoor recreational uses. The 85-acre Chubb Park on Rt. 24 is the Township's busiest, and has athletic fields, tennis courts, playground, ice skating and nature pond and Patriots Trail Hiking Access. Tiger Brook Park has fishing, hiking trails and Camping area. The MacGregor Preserve is adjacent to Tiger Brook Park (connected by a common hiking trail) and together, the two parks provide 430 acres of contiguous open space. Peapack Brook, a major tributary of the North Branch of the Raritan River and a state classified Trout Production stream flows through the park. 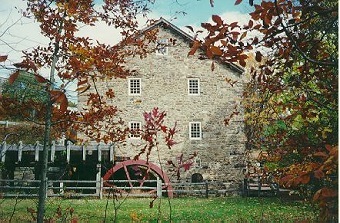 Other notable areas include historic Cooper Mill, Bamboo Brook and Willowood Arboretum. The Chester Area Pool complex is adjacent to the Black River Middle School and offers a packed calendar of social events, open swim teams, and lesson programs. The complex houses several pools, a waterslide, concession stand, and shower facilities. Chester Township gardeners grow organic vegetables, fruits, and flowers in the Chester Community Garden. It's open from spring until fall, and offers access to soil, compost, water, tools, and full sun. Gardeners can rent anything from one plot (of 120 available) for one year, to several for multiple years. There's also the 4-H Fair at Chubb Park, Farm Days at Alstede Farms, and live music Saturday nights at Redwoods Bar and Grill. For information on local events visit ilovechester.com From the antique shops to the Gazebo Concert Series and the Streets of Chester Shopping Center, Chester offers a distinctive personality and New Jersey sense of community. Chester real estate agent Maryann Johnston will be able to help you locate some of the most amazing Chester properties in the area. Call her today at 201-964-6451 as soon as possible. She has knowledge of all the best deals available!